Do yourself a favor, and spend 18 minutes today listening to Tei Shi's latest EP, Verde. 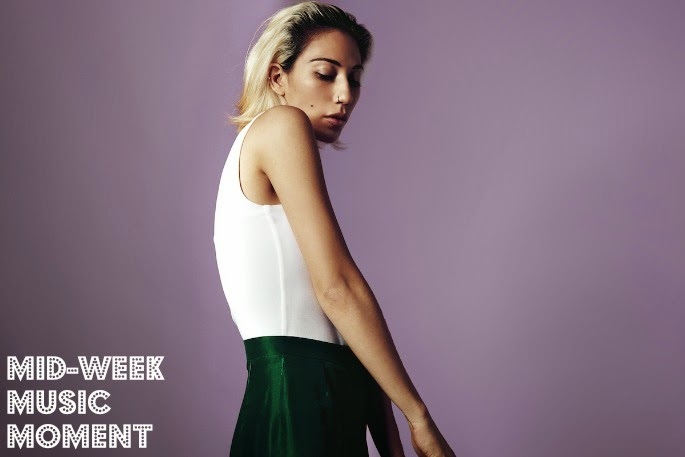 The first I heard of her was when I came across "Bassically" sometime last year, but hearing it in the context of these other songs has given me a much better picture of who Tei Shi is, sonically speaking. Clearly I'm having a moment for synth-y, disco-y female-driven pop these days, and Tei Shi fits in and stands out in that genre. Her songs are dreamy and transportive (like Say Lou Lou) but have a more sensual groove, especially "Get It." Check out the 5-song EP below and take your Wednesday to a whole other level.